Explore the experts and professionals that work with Mailers Hub. 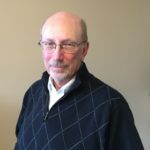 Leo Raymond is Managing Director of Mailers Hub, an information resource for mailing service providers and other companies in the mailing community, and has five decades' experience in postal affairs and related mailing issues. He formerly was Director, Postal and Member Engagement, for Idealliance, based in Alexandria, Virginia. Before that, he was VP for Postal and Member Relations for legacy Epicomm and its predecessor associations. In those positions, he served the associations’ members nationwide regarding general postal questions, mailing problems, and related government issues, and supported the associations’ chapter- and conference-based educational programs. Leo joined then-MFSA in March 2003 upon his retirement from a career with the US Postal Service that spanned over 35 years. 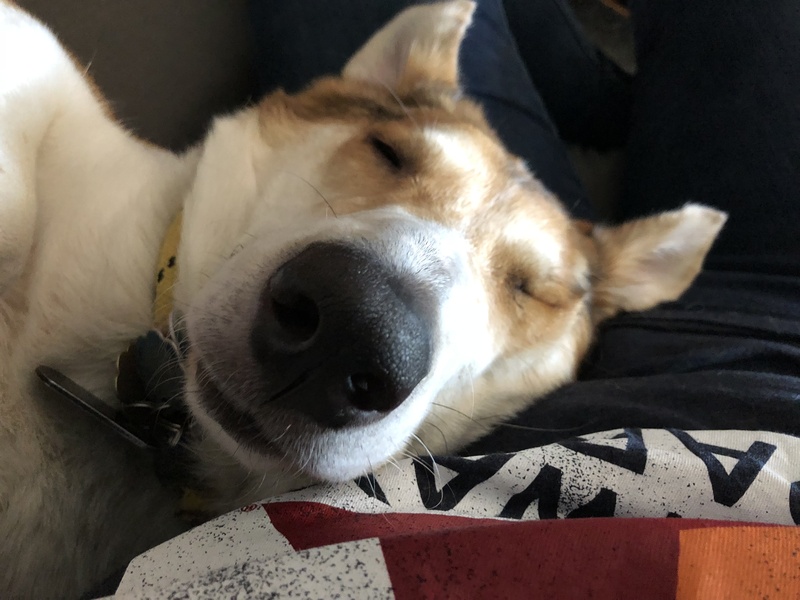 He holds a Bachelor’s degree in History from North Adams (MA) State College and has studied at the Darden Graduate School of the University of Virginia. Leo and his family live in Northern Virginia. Mr. Barlow has a diverse business background with over 25 years in the mailing industry. He is an experienced leader with accomplishments in executive management, marketing, sales, finance, and production solving business problems to promote growth, reduce costs, and increase profits. Mr. Barlow has over eight years of experience with Harte-Hanks Direct Marketing where he held successful positions in finance, production and executive management. His last position with Harte-Hanks was Director of Financial Services providing internal consulting and troubleshooting company-wide, solving a diverse range of management and production problems. In addition, Mr. Barlow has managed startup operations for DynCorp, Postal Operations Division and Duplex Products’ Electronic Printing & Mailing Division and was involved in the startup of a remote encoding site located in Mexico for First Logic (now SAP Business Objects Postalsoft). Most recently, Mr. Barlow provided over 13 years of consulting services for Xerox Global Managed Services involving RFP site analysis, solutions and response support and operations assessments, implementations, planning and process support for a wide variety of mail services and print operations. In January, 1991, Mail Systems Management was formed to focus on the mailing industry addressing mailing, printing and fulfillment operations and corporate mail center engagements. These included business and operations assessments, business and marketing plans, productivity and workflow analysis, personnel development, mail automation and postal savings optimization, statement processing, warehousing improvements, production layouts, mail finishing, quality control and process improvement, mailing and fulfillment start-ups, training, mail center assessments, outsourced business services and implementation support, RFP response support and RFP preparation and process management. Major clients include corporations, banking, hospitals, insurance, colleges and universities, the U.S. Government, and printing, fulfillment and mailing companies. Mr. Barlow has conducted workshops and is a regular speaker at the National Postal Forum and MailCom and various other professional association meetings. He has written articles and has been quoted in various professional publications and provides mailpiece design and customized training programs for Printing Industries of America Affiliates and other organizations. Finally, Mr. Barlow is on the Board of the Mail Systems Management Association Washington Metro Chapter, serving as Past-President. He is the former Baltimore Postal Customer Council Industry Co-Chair and Education Committee Chair, an active member of the Washington Metro, the Northern Virginia Postal Customer Councils and the Printing and Graphics Association Mid-Atlantic. 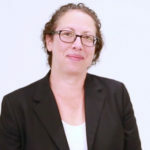 Jody Berenblatt is pleased to expand her involvement with the mailing industry consultant as a consultant for Mailers Hub. She has held positions as Senior VP of Global Postal Strategy at Bank of America, Director of Postal Commerce and Distribution at Time Warner, Inc. and Director, Mailing Services for the Columbia House Company. She has testified on postal policy before the US Senate, and worked with the USPS and the PRC on a variety of postal issues. She continues to be actively engaged in many work-groups under the Mailers Technical Advisory Committee (MTAC). Read more about Jody on her LinkedIn profile. 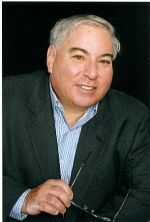 Tom Glassman has been in the mailing industry for over 25 years, and is a postal and mailing operations expert. 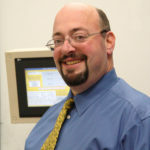 Originally from the Boston area and a graduate of Babson College, Tom began his career operating Cheshire labeling equipment and inserters, and advanced to managing large mail operations. Tom moved to the Dallas area in December 2007 as Vice President of operations for Tabs Direct. At Tabs he contributed to a team that helped deliver the 2010 Census material on time with the use of the IMB and drop shipments of First Class mail. He later became Director of Service and Postal Affairs for NPI, where he led the development of a patented process for the replacement of Fast Forward, and a second patent-pending process for utilizing data files to maximize postal discounts. Tom joined Wilen Direct in March 2013 as Director of Data Services and Postal Affairs. Tom currently is involved with various MTAC (USPS Mailers Technical Advisory Committee) and non MTAC-workgroups and task teams. He is one of two Industry chairs for the FAST User group and the Micro Strategy User group, and is active with the education committee for IDEAlliance’s POTC group. Tom has spoken at the National Postal Forum on the Mailer Scorecard and mail.dat files, and has contributed to Postal Points, Epicomm’s postal newsletter, and other industry publications. He has served on the national board of directors for Epicomm and for its Southwest Chapter. Tom also holds a Mailpiece Design Consultant Certification from MSMA and a Mail Design Professional Certification from the USPS. He has been a volunteer in the Greater Dallas PCC and the Broward County PCC and is honored to be serving on the Board of the Palm Beach/Treasure Coast Postal Customer Council. As a certified diver, he pursues his hobby, which is underwater photography, and Tweets postal updates under the handle @maildiver. The Professor has been in the mailing industry for over 47 years. Along with owning two successful direct mail companies, he has served in leadership positions for some of the most respected graphic communication corporations in the country. 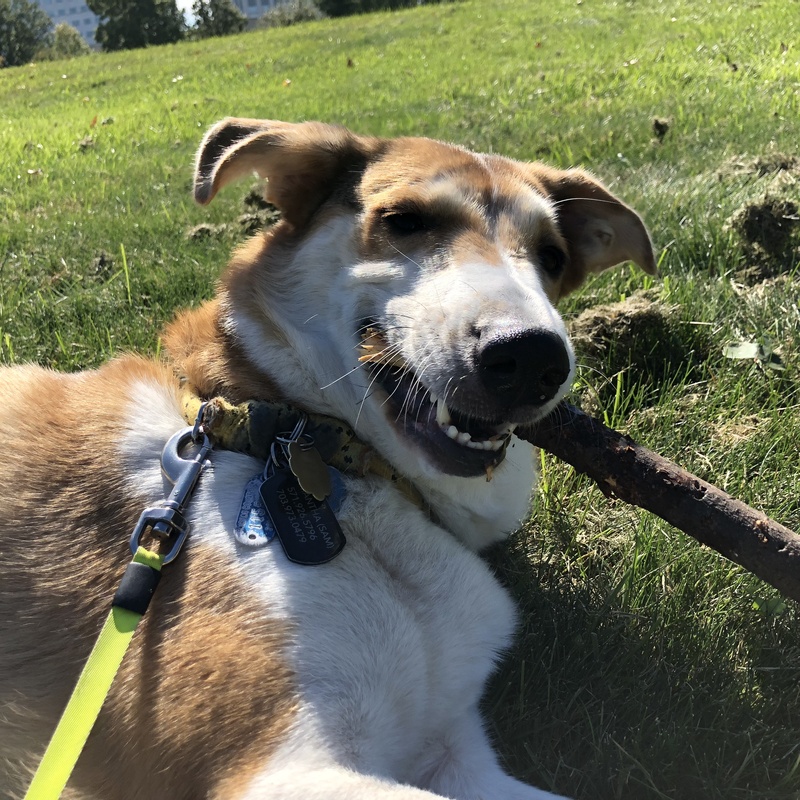 Although he has never worked for the USPS, George is recognized as a postal authority and mailing operations specialist. As a featured speaker at industry related conferences, he provides insight and guidance on the relationship between mailers and the USPS. 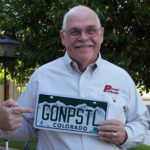 He is a long time member and supporter of EPICOMM, the Association for Leaders in Print, Mail, Fulfillment and Marketing Services (previously known as AMSP and MFSA) and was the former Industry Co-Chair of the Denver Postal Customer Council. In 2007 AMSP/MFSA honored George by presenting him with the Luke Kaiser Educational Award for outstanding contributions to education in the direct mail industry. Along with his speaking engagements, George spends a great deal of his time providing on-site mail and fulfillment related training along with operational evaluations, including the Certified Mail Design Professional program sponsored by the USPS. Using humor and his extensive industry and postal knowledge, he has educated thousands about the complexities and nuances of this unique business. PPhD – Every professor needs a doctorate degree. I presumed that since I’ve been in the mailing business so long, I qualified for a degree in going postal, therefore the extra “P”. I gave the title to myself! I tell my students that I have a “Doctorate in Postal”. PIG – Postal Information Guru. This title was given to me in July 2009 by Mr. Dave Reedy upon his retirement from the USPS. He held the title since 1995 and said to me that the title was significant and should be passed along to a worthy recipient. I am proud to carry on the title in his honor. CMDP – Certified Mailpiece Design Professional. An additional certification from the US Postal Service which indicates that I have completed a week long course on Mailpiece Design, presented at the USPS National Center for Employee Development in Norman OK.
OMG – No, this doesn’t mean “Oh my God!” This title was given to me by a good friend and stands for “Old Mailing Guy”. CMQCS – Signifies that I’m a Certified Mailpiece Quality Control Specialist. This formal certification was from the USPS and shows that I have taken a course and passed a hundred question final exam, Before the program was discounted, I had the pleasure of teaching this course to others and certifying over 1500 MQC specialists. PIMP – Professional in Mail Processing. This title was developed during a break in one of the Bootcamp classes after we had discussed USPS acronyms. I was apprehensive about adding it to my bio, however I have asked more than 20 different groups of students for their opinion and their vote was an overwhelming YES. Basically, some titles are there just for laughs; however, they do look pretty impressive, don’t they? p.s. G. P. stands for George Phillip or Gone Postal, your choice. Merry Law, President of WorldVu LLC, oversees their publications, consulting, and worldwide marketing programs. 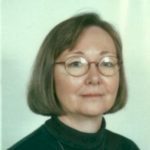 She is editor of the authoritative Guide to Worldwide Postal-Code and Address Formats and author of Best Practices for International Mailings. Merry is an internationally recognized expert on international postal addresses. She is a member of the Universal Postal Union POC Addressing Work Group, the U.S. International Postal and Delivery Services Federal Advisory Committee, and is a founding member of the Global Address Data Association. Merry consults with organizations on international databases, postal issues, and on direct marketing, helping them to overcome barriers to doing business internationally. She frequently writes and speaks on international addressing and mailing. With more than several decades in Direct Mail and Fulfillment sales and operations, John Rafner brings a wealth of practical hands on knowledge to his assignments. 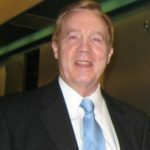 John was the founder and CEO of Nice Lines Direct Mail Inc., a full-service print direct mail and fulfillment service bureau in Norristown, Pennsylvania, that he founded in 1982 and ran for 27 years before selling it in 2009. Rafner continues to actively participate in helping form the direction of the mailing and fulfillment industry. After the sale of his business, he served as a Regional Sales Development Manager for EFI, providing MIS and fulfillment software solutions for the management of Printing, Mailing and Fulfillment facilities. Rafner has also held several sales positions for marketing services providers. In 2007 – 2008 John was Chairman of the Board of MFSA. He has previously served on the executive committee of the Board of Directors for MFSA and other standing committees of MFSA since 1993. John also is a 25 year+ member of the executive board of the Southeastern Postal Customer Council. In his limited spare time, John is an active Volunteer Fireman and EMT and is a Certified Barbeque Competition Cook and Judge.